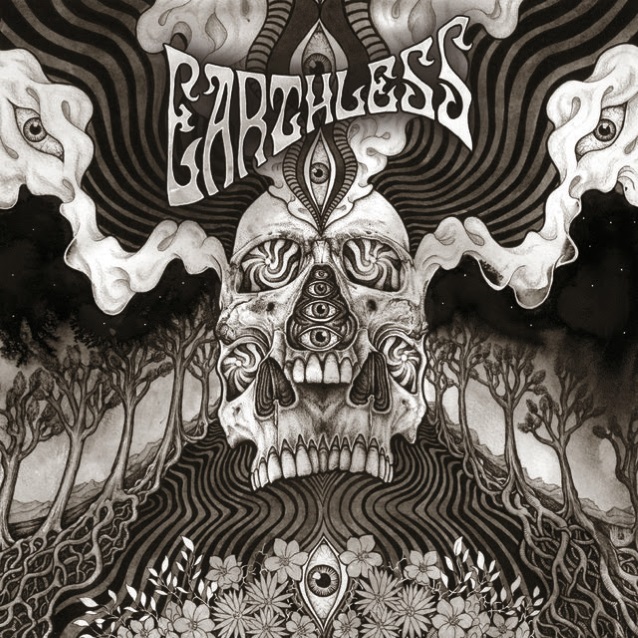 EARTHLESS, the San Diego-based trio whose most recent release, the 2013 album “From The Ages”, was included on multiple best of year end lists including Rolling Stone and Magnet magazines, returns with the full-length album “Black Heaven” on March 16 via Nuclear Blast. The disc was recorded at Rancho de la Luna in Joshua Tree, California with Dave Catching (EAGLES OF DEATH METAL) handling production. The band is giving fans an early preview of the six-track, 40-minute album, with a stream of the first track on the album, “Gifted By The Wind”. The song, which kicks off the album, marks a shift for the band, with four of the six songs featuring vocals whereas earlier albums only occasionally had vocals. Pre-order bundles, with digital releases offering an instant download of “Gifted By The Wind”, are available now here.